EDMONTON -- A judge has agreed to ease some bail conditions for former Guantanamo Bay prisoner Omar Khadr and is considering other changes that would increase his freedoms. Khadr's curfew is being eased so he can attend night classes at the Northern Alberta Institute of Technology in Edmonton, where he plans to study to become an emergency medical technician. He can also leave home earlier in the morning for religious prayers. The federal government is not opposing the changes, which also include allowing Khadr to stay with friends in Alberta if permitted by his bail supervisor. He is currently required to live with one of his lawyers, Dennis Edney, and not leave Alberta except to stay at Edney's vacation home in B.C. Khadr's lawyers argued in court Friday that he has complied with his bail conditions for the last four months and most of the restrictions are no longer needed. "Mr. Khadr is getting on with his life, as he should do," Edney told reporters outside the courthouse. "Overwhelmingly people stop him, speak to him. They're not intrusive and they welcome him back. We have not had one single problem." Khadr stood beside Edney and smiled but declined to speak. Edney says the 29-year-old doesn't want to be a public figure. "He wants to live quietly and be just an ordinary person." 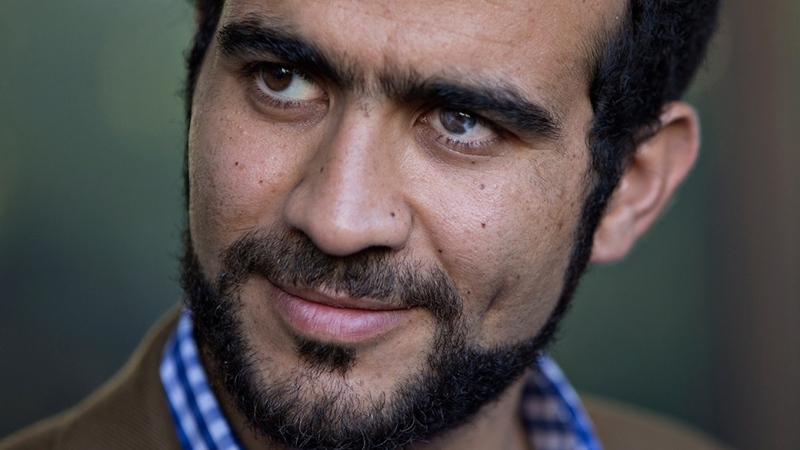 The Toronto-born Khadr was 15 when he was captured following a firefight in Afghanistan in 2002. He became the youngest prisoner and lone Westerner at the time to be held in Guantanamo. In 2010, he pleaded guilty to several war crimes, including the murder of an American soldier. A United States military commission sentenced him to another eight years behind bars. He was transferred home to Canada in 2012. Khadr later said he only pleaded guilty to get out of the notorious prison and appealed his conviction in the U.S.
Justice June Ross agreed to bail in May, pending the appeal. On Friday, she reserved her decision on Khadr's other requests to visit family in the Toronto area and to get rid of the electronic monitoring bracelet strapped to his left ankle. The judge said she wants to see a report from Khadr's bail supervisor. The hearing is to continue next Friday. Khadr's other lawyer, Nathan Whitling, told court that Khadr wants to see his grandparents, who are ill and whom he hasn't seen since he was a child. He wants to be able to visit them, unsupervised, and also wants to see his three brothers and a sister. Whitling said Khadr's mother and another sister, who have expressed pro-al-Qaida views in the past, are not currently in Canada and Khadr's Toronto visit wouldn't include them. Khadr has said in an affidavit that his relatives are not involved in any illegal activity but, if they were to try to influence his religious views, he would not be swayed as he is an independent adult. He also said his ankle bracelet has mistakenly gone off several times and is embarrassing. Whitling told court the device hampers some of Khadr's activities, such as swimming and soccer. 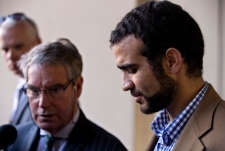 Khadr plays on a soccer team at King's University College, where he also studies. Federal government lawyer Bruce Hughson said it's in the public interest that Khadr keep the bracelet. The lawyer pointed out that Khadr is already allowed to contact his family by phone or computer, as long as he speaks English and is under supervision. The government, which is appealing the original bail decision, has frequently branded Khadr an unrepentant terrorist and said he should serve his full sentence. Khadr was eligible for statutory release on Aug. 19 after the Supreme Court ruled he should be serving a youth sentence instead of an adult term. Whitling said it's ironic that Khadr's bail conditions are more stringent than had he been released from prison.